Having been extensively tested in some of the world’s most hostile environments, the new Ford Ranger has proved its worth – and that was before going on sale. With its rugged good looks and powerful stance, the Ford Ranger is unmistakable​. Its muscular body is complemented by its large, deep grille and simple, geometric headlight design, while roof rails add an extra level of practicality and the large alloy wheels hint at its off-road abilities. With a selection of bold paint colours too, it makes a strong first impression at work and at play. Inside, the Ranger’s ruggedness melts away, leaving only comfort and practicality. Incorporating durable yet soft materials and room for your family in all bar the XL model, it’s an inviting and relaxing place to be. A selection of engines is available with the new Ford Ranger, giving you the power and torque you need for a busy day. Two 2.2-litre Duratorq diesel engines – developing 130PS and 160PS – are on offer, as well as a 3.2-litre variant that produces a mighty 200PS. All are as efficient as they are strong, with the most economic model achieving 43.5mpg and emitting 171g/km of CO2. Meanwhile, the AdBlue® system takes harmful NOx emissions and converts them into nitrogen and water when you fill up with AdBlue® fuel. Certain models are available with Selectable 4x4, enabling you to modify the vehicle’s settings to suit the terrain. There’s normal 4x2 for on-road driving in good conditions, 4x4 High Range for tackling poor surfaces and dirt tracks, and 4x4 Low Range for the most challenging of terrains. Equipped with the latest technology, the Ford Ranger is designed to take the stress out of your daily drive. Sit back and relax with the SYNC 3 system, which connects you to your favourite music and enables you to make and receive calls on the go. Heading somewhere new?  The navigation function responds to real-time traffic information, sending you on the quickest route. And once you arrive, the parking sensors ensure you park safely. Speaking of safety, a whole host of systems are in place to keep you, your family and your cargo protected. Electronic Stability Control and Traction Control work to give you the best possible grip and stability, whatever the terrain, while Trailer Sway Control keeps you on the straight and narrow while towing. Meanwhile, features such as Hill Start Assist and Hill Descent Control help you stay in command on tricky slopes. 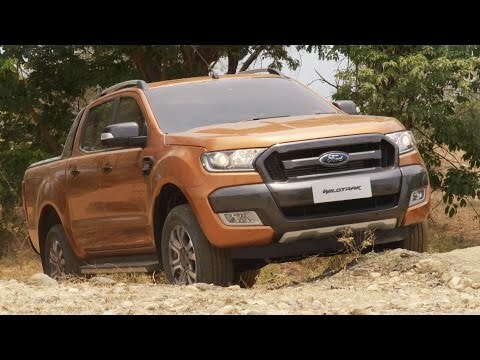 To find out more about the rugged new Ford Ranger, contact M53 Ford in Birkenhead and Ellesmere Port today. We’ll be happy to talk you through the different trim levels and accompany you on a test drive.